One Island, two newspapers, and a reporter who played them both. While any number of writers have chosen the Vineyard as the setting for their novels, the action generally takes place during the summer months, using the backdrop of the Island in full swing as the setting for all types of plots from romance to political intrigue, murder, and more. 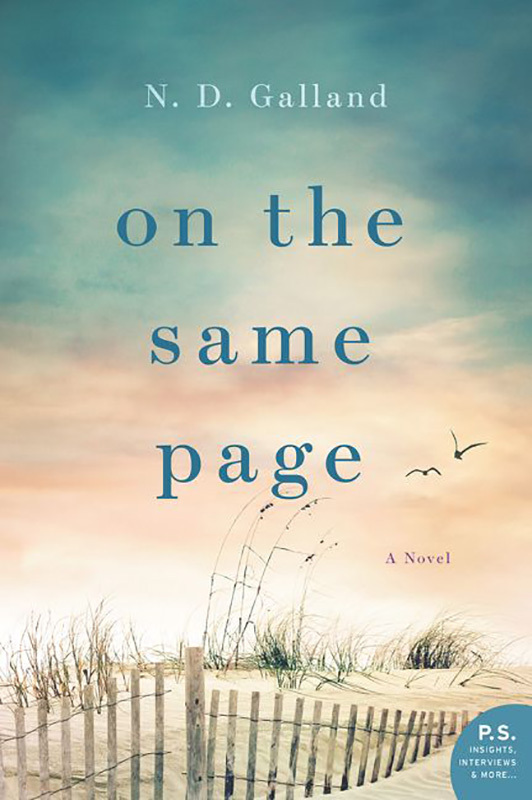 Nicole Galland has taken a different approach in her latest book, “On the Same Page.” The story centers around a journalist who, returning to her childhood home on a temporary basis, takes on freelance work with not one, but both of the local newspapers (here referred to as the Journal and the Newes). Complications arise due to some duplicity on the part of the book’s heroine, the appearance of an unexpected love interest, and the disconnect between the locals and a wealthy seasonal resident. 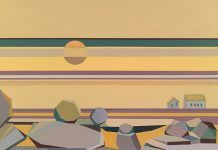 The book’s protagonist, Joanna Howes, finds herself back on the Island where she grew up after establishing herself as a New York City writer of celebrity profiles for glossy magazines. A family emergency necessitates an extended stay on the Vineyard during the bleak winter months. Joanna is not exactly thrilled to be back on all-too-familiar ground, finding the off-season Island a drastic change from her life in New York. However, the timing will give her a chance to escape a challenging personal situation and some time to mull over an important decision. Joanna initially thinks that her stay will be disappointingly dull, but she soon discovers that there’s plenty of drama — on both a personal and a professional level — to be found on the sleepy Island. However, despite Joanna’s initial reaction to being back on the Island, she soon recalls the things that make the Vineyard so special to those of us who have fallen under its spell. Galland knows well of what she writes. Born and raised on Martha’s Vineyard, she has moved around quite a bit. After earning her undergraduate degree from Harvard, she went to graduate school in California’s Bay Area, where she eventually returned after spending time in New York City and Los Angeles. More recently, Galland lived in Boston. However, like the heroine of her most recent novel, the author has found that her heart is on the Island where she was born and raised. “I love the community,” she said. “I love the peace and quiet. I love that my chances of getting Lyme are statistically lower.” Galland’s attachment to the Vineyard is reflected in her character’s appreciation of the pace, the solitude, and the close-knit nature of the Island, as well as the quirks of the local characters — whom she brings to vivid life with the skill of a seasoned writer and the insight of a member of a long-established Vineyard family. This is Galland’s eighth novel. Previously she focused on historical fiction. Her book, “Stepdog,” marked her first foray into contemporary material. She has proven as adept with the latter as she has with her popular, well-researched, historically based books. The author’s familiarity with life on Martha’s Vineyard is not the only thing she has drawn on for her most recent book. At various times, Galland has written for both the Vineyard Gazette and The Martha’s Vineyard Times. Currently, she pens the MV Ps and Qs column for The Times, as well as occasional features and pieces for Arts & Ideas magazine. “More than a decade ago, before I ever wrote for either paper, I had been hearing from friends and acquaintances about the, hm, let’s call it disconnect, between the two papers — and immediately I thought, ‘Somebody should write a book about that,’” Galland said. “I never thought of doing it myself, because I didn’t write contemporary fiction at the time, and more importantly, I had no relationship to either paper. Once I began to write occasional features for the Gazette, I thought of it again in passing. I’d been thinking of a Romeo and Juliet story — but then a writer from one paper married a writer from the other paper (briefly), and I thought, Well, never mind then, truth just trumped fiction. Although the original star-crossed lovers theme was replaced in favor of a story with more universal relevance, there’s still romance to be found in “On the Same Page.” In press materials, the book is described as a romantic comedy, but there’s more to Galland’s latest than just a love story. The book is populated by a host of fictional characters who will no doubt sound familiar to local readers. There’s a crusty longtime Islander, a former hippy who has remained true to her activist roots, an artsy woman who manages to find humor and a wealth of gossip through her job at a bakery, and other prototypes anyone who’s spent time on the Vineyard is bound to recognize. It’s a fun story and a quick read, full of colorful characters and an improbable romance. Above all, it’s Galland’s elegant and often witty prose that elevates “On the Same Page” above other novels set on the Vineyard. Galland will host a book talk at the M.V. 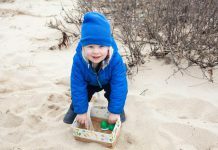 Playhouse in Vineyard Haven on Sunday, Jan. 20, at 4 pm.